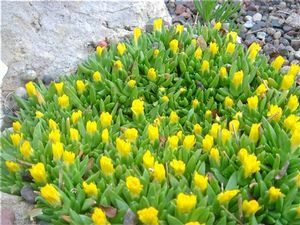 This South African alpine succulent has buttery yellow flowers in summer against bright green 3" tall tight mounds. Foliage transforms to reddish-maroon in winter. 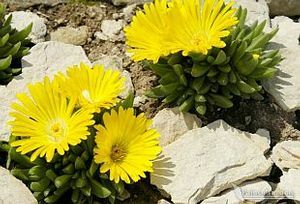 Appreciates some afternoon shade in hot summers and requires a little more moisture than other Delospermas.